This webpage is designed to help homeowners recognize key pests of backyard fruit trees and how to manage these pests to maintain tree health and fruit quality. If you grow apples, they will come! 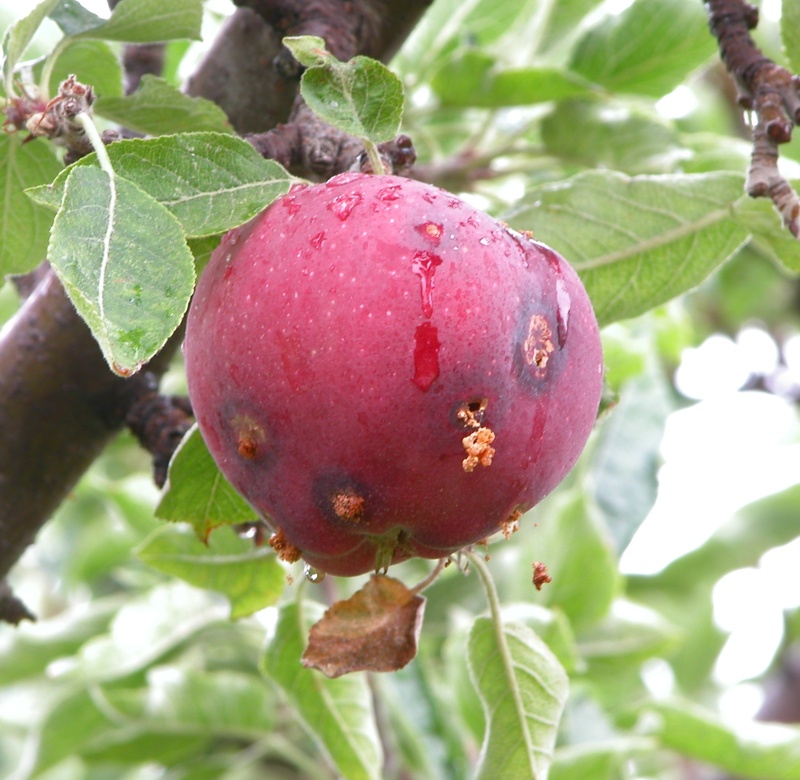 Codling moth, or the “worm in the apple,” directly impacts the eating quality of apples here in the state of Washington. When homeowners do not manage codling moth in their backyard trees, up to 80 to 95% of the fruit can become “wormy.” In the apple-producing areas of WA State, homeowners are legally responsible (RCW 16.09) to control this pest in host trees on their properties. The rationale behind this code is to protect fruit growers from economic losses caused by invasive pests or additional management strategies (often pesticide applications) to intercept pests from migrating to commercial orchards from neglected backyard fruit trees.